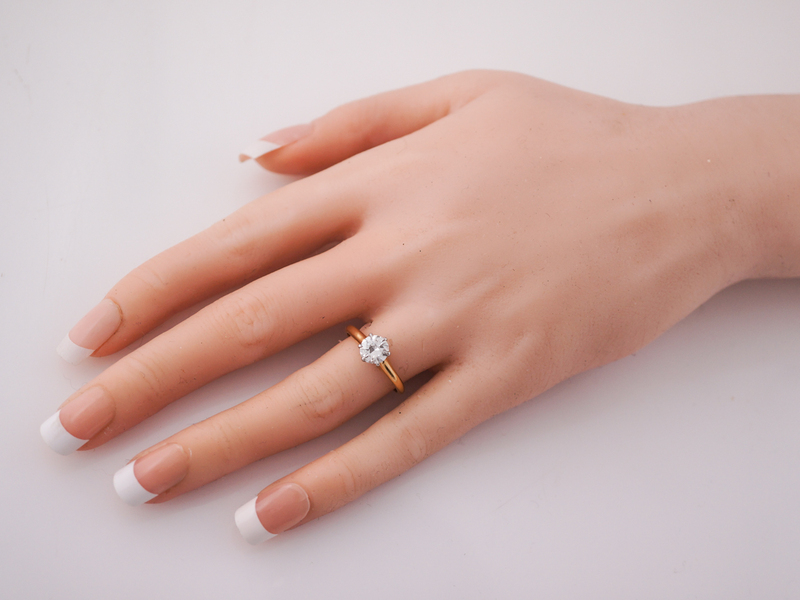 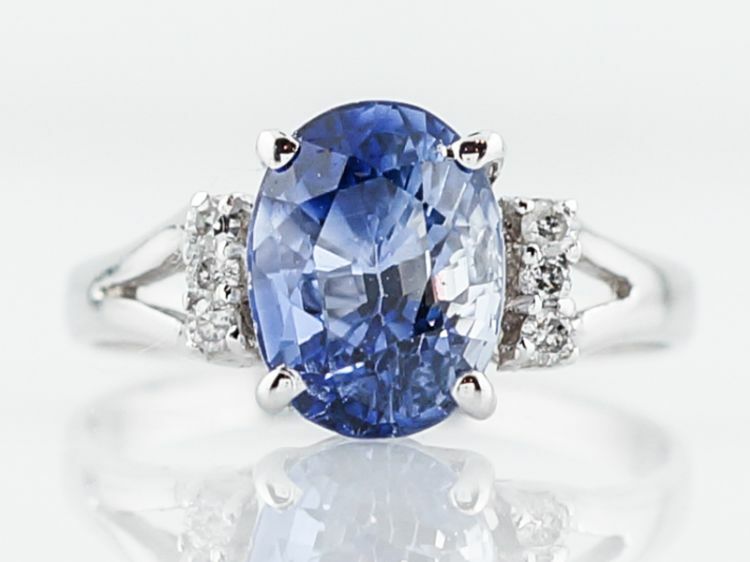 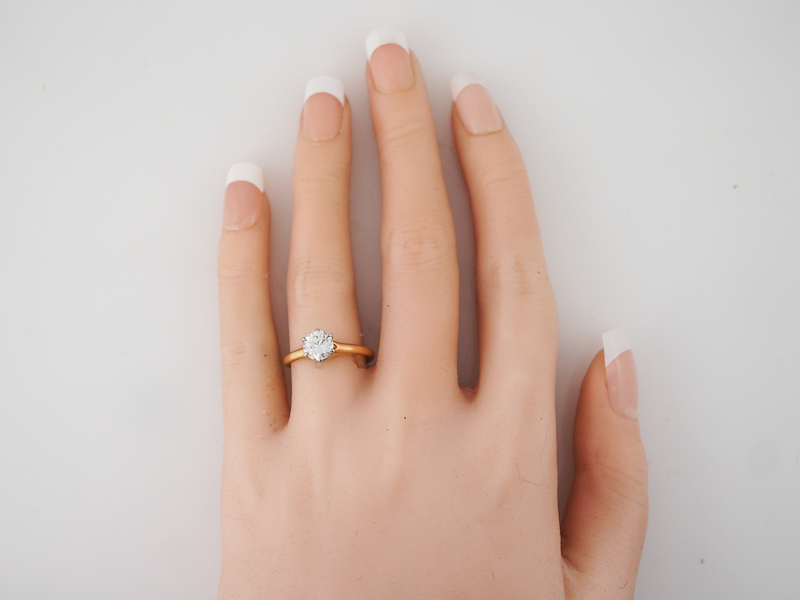 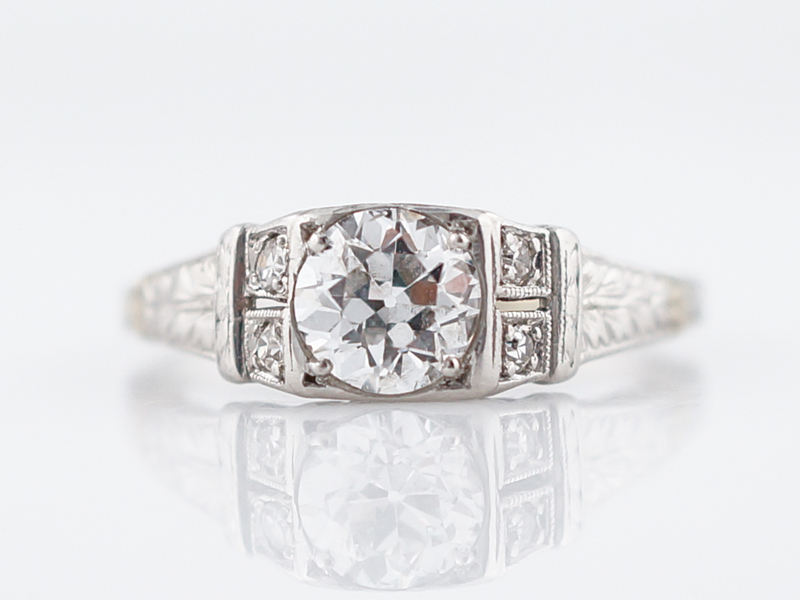 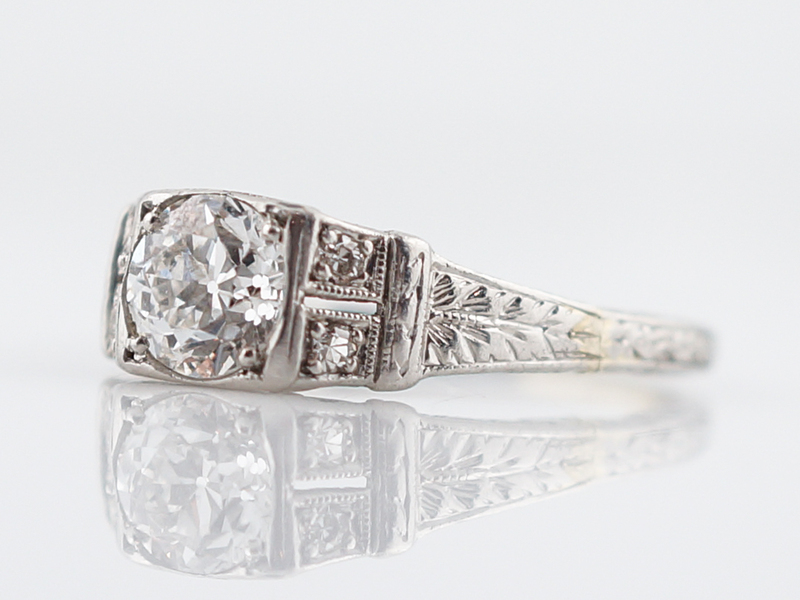 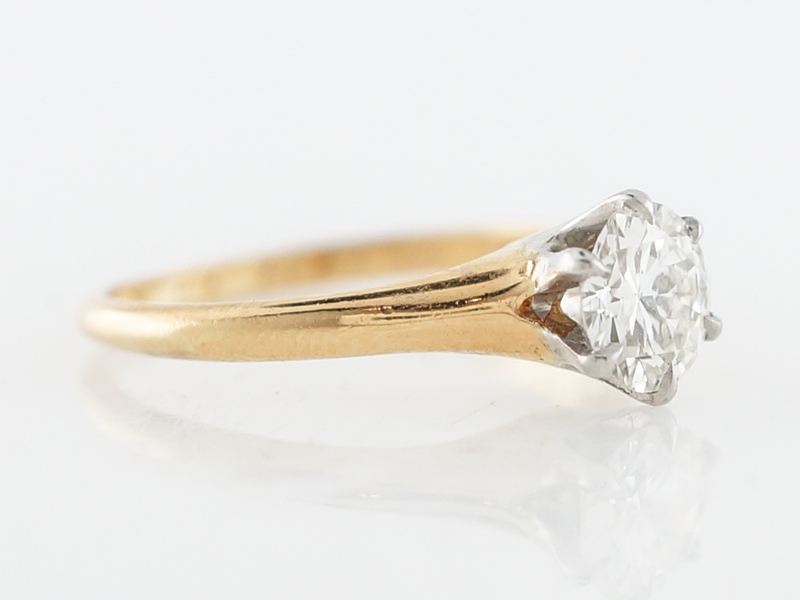 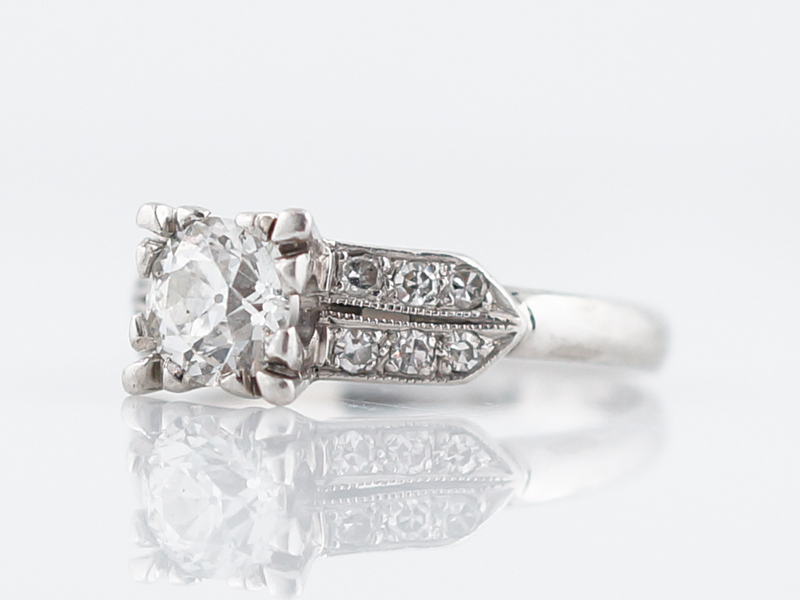 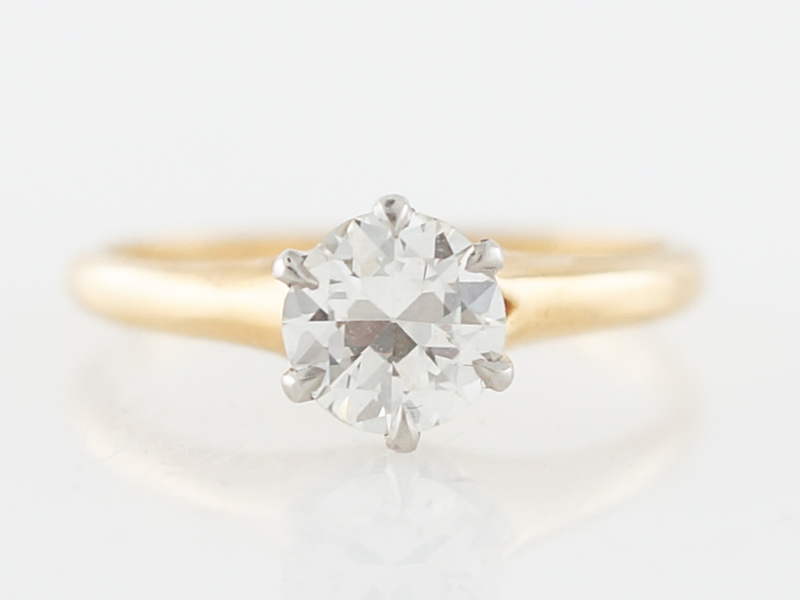 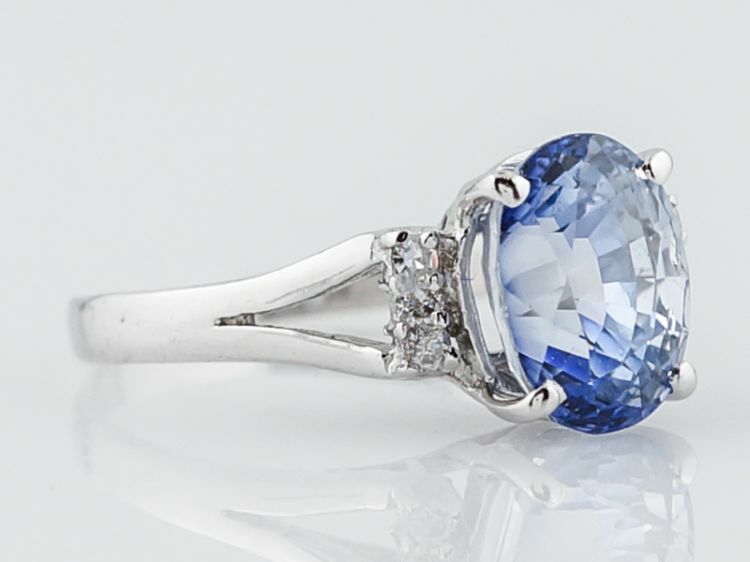 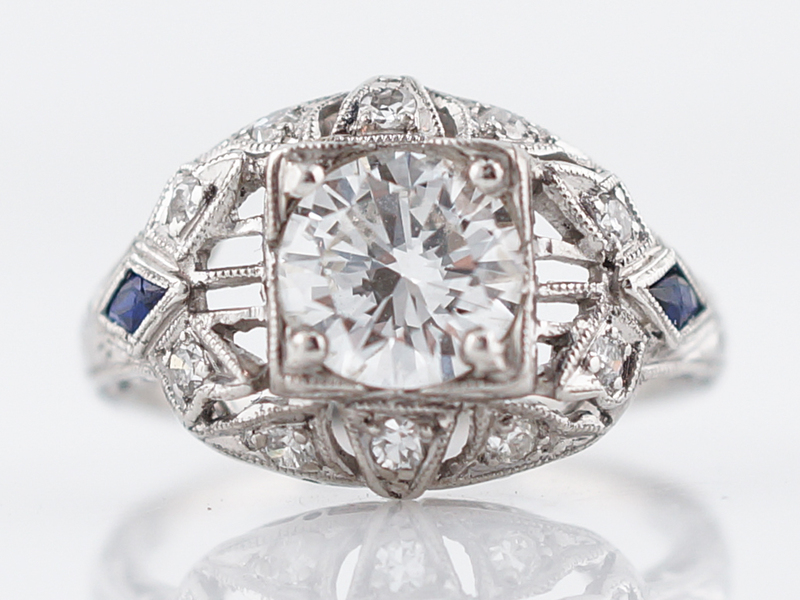 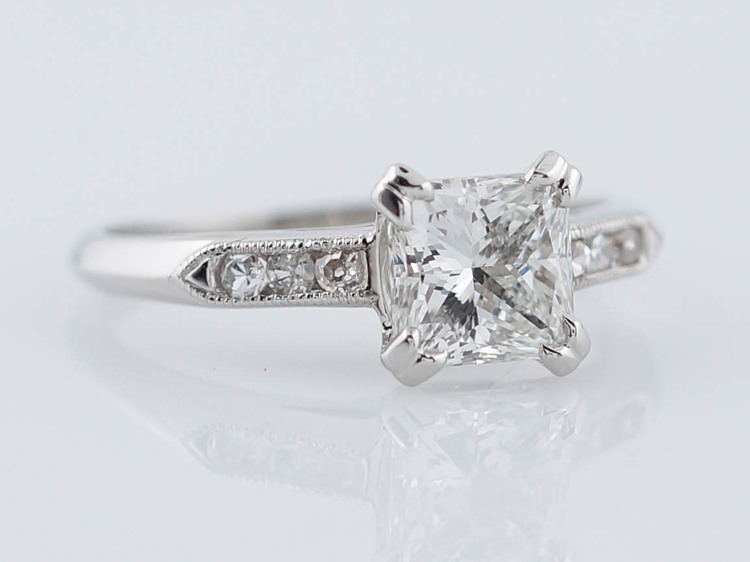 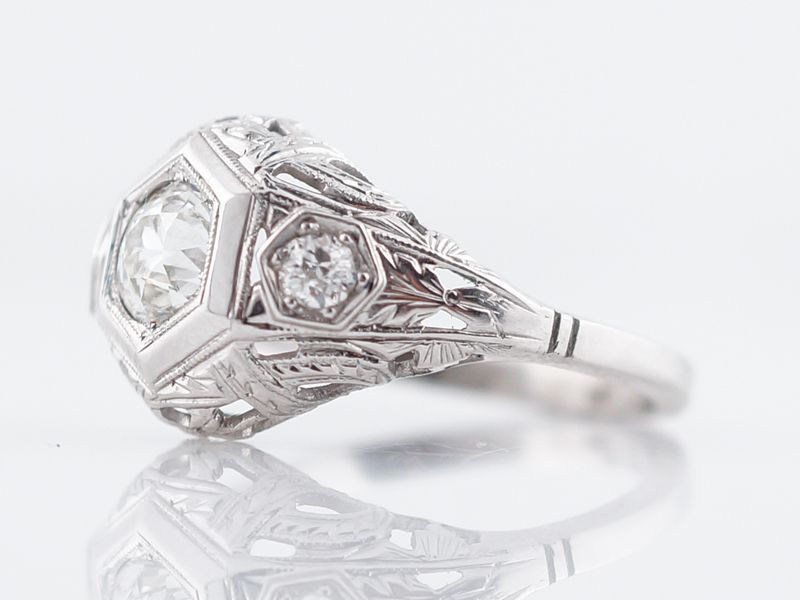 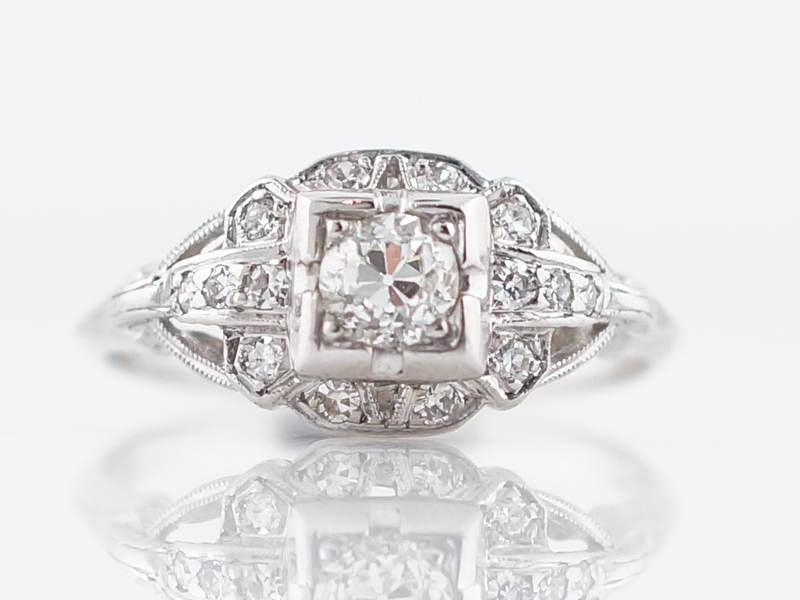 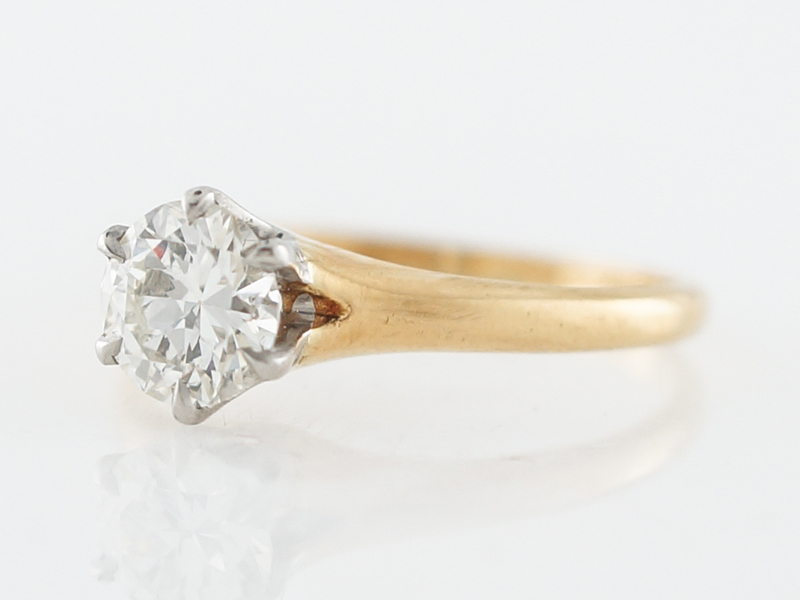 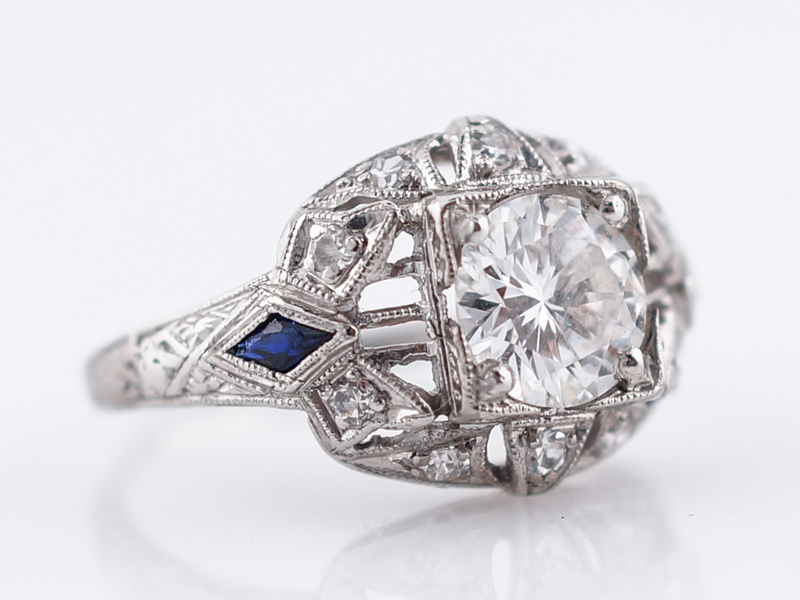 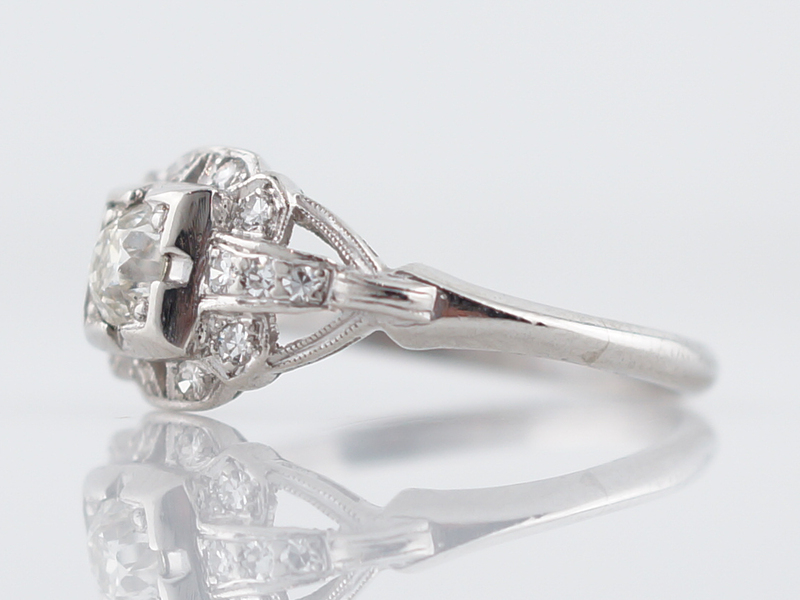 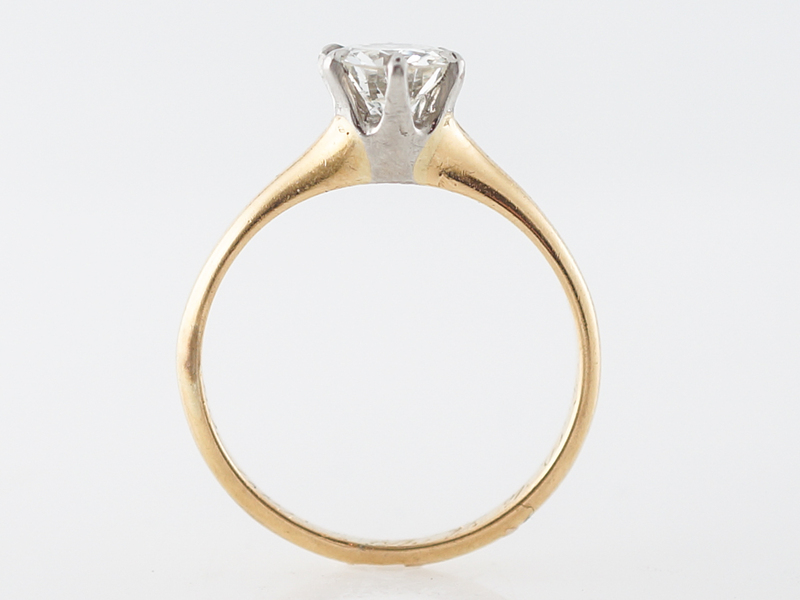 This lovely, polished engagement ring is a classic solitaire from the Retro era. 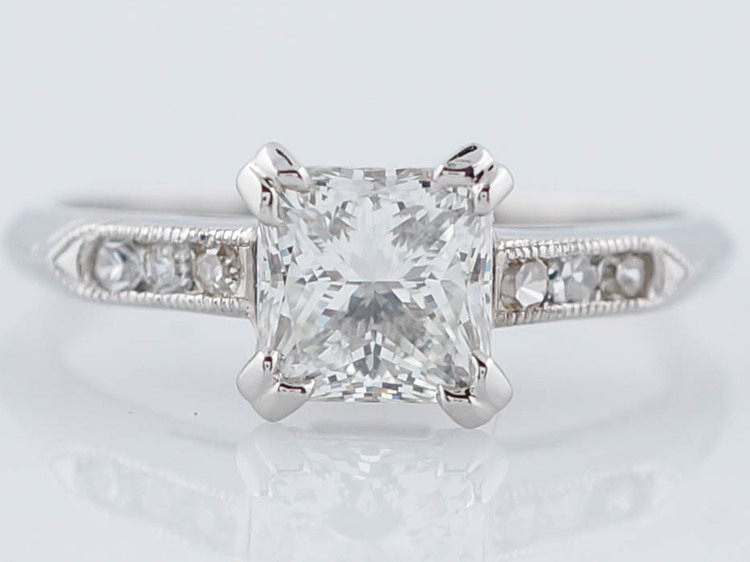 This timeless piece features a GIA certified transitional cut diamond with six (6) prongs, allowing full view of the stone and incredible scintillation. 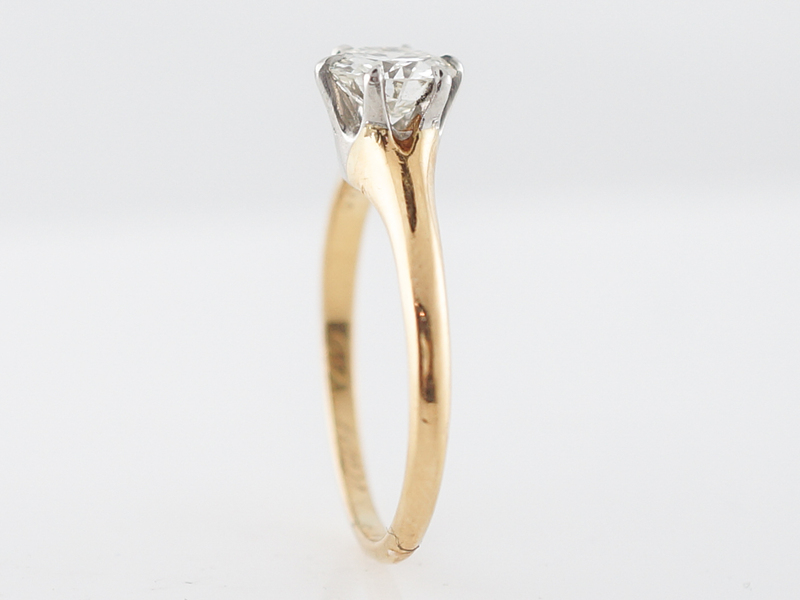 The basket holding the stone is platinum, while the rest of the ring is 18k yellow gold creating a gorgeous two-tone look. 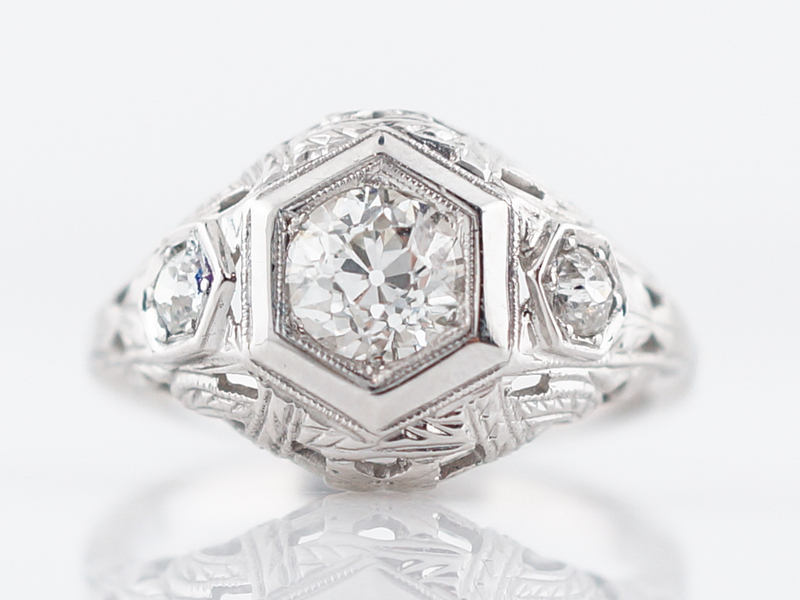 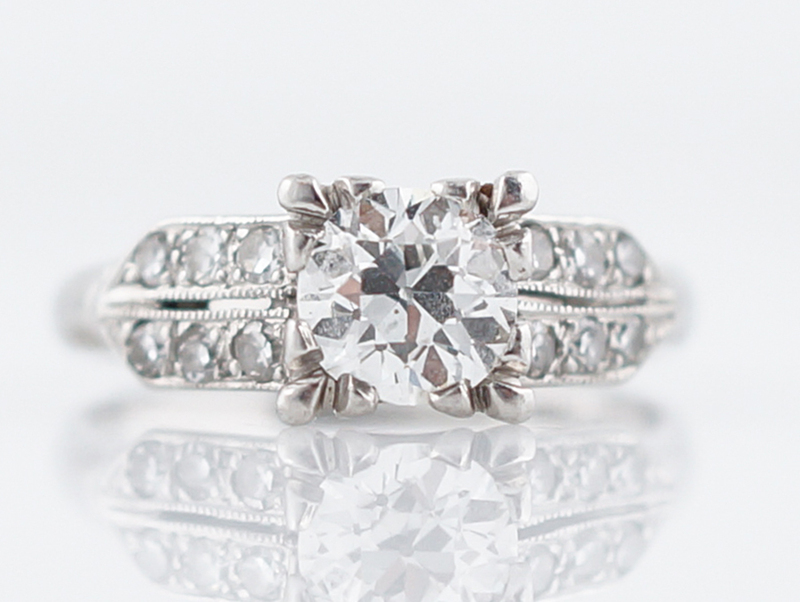 A simple, classic design that will forever be timeless!